As you may know RAY was one of York’s Lord Mayor’s charities. Councillor Barbara Boyce was the Lord Mayor last year and she chose RAY to be one of the three charities supported during her year of office. 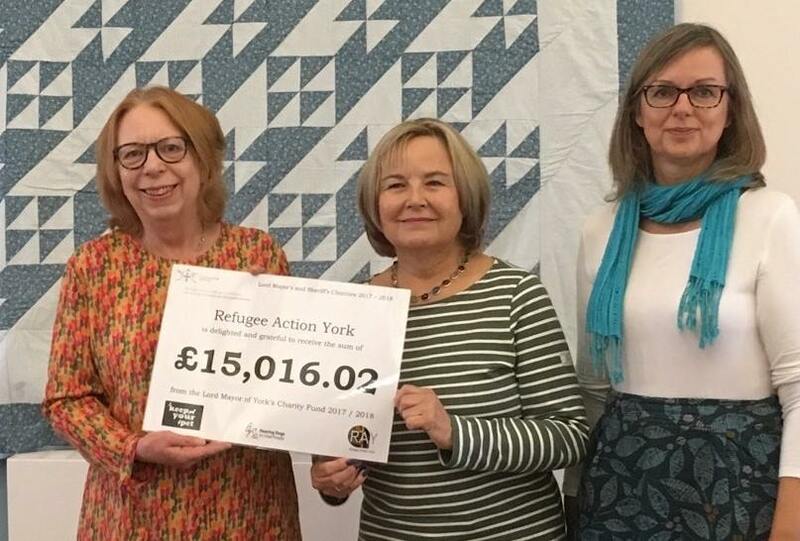 The numerous fund raising events that took place during the year raised over £45,000 which is a fantastic achievement, and a massive thank you to everyone concerned. Here’s Councillor Barbara Boyce (in the middle) presenting the cheque to Carole Jackson and Lois Gregory of RAY.